Immerse yourself in color! 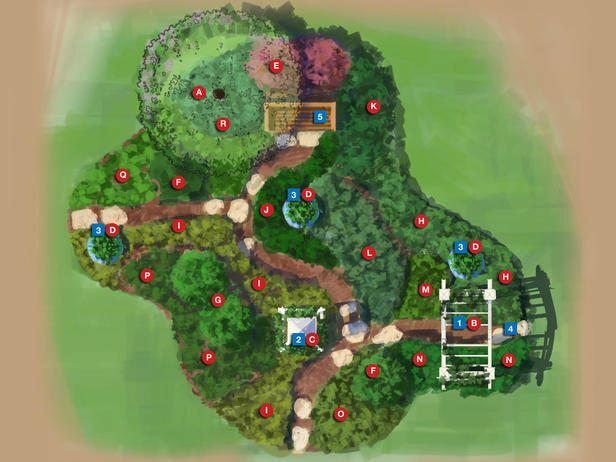 This landscape design plan creates an ever-changing collage of bold, vibrant hues in foliage and flowers throughout the seasons. 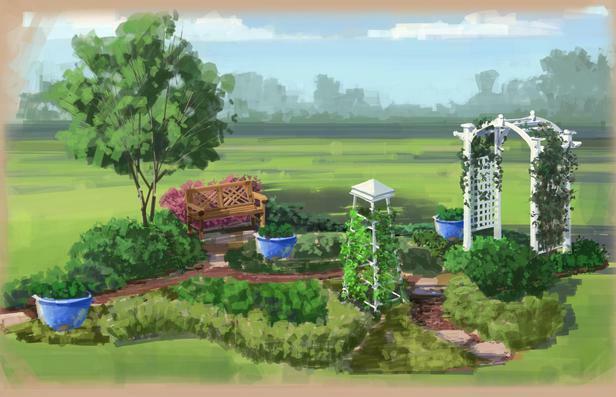 Enter this garden of hues through the vine-draped arbor or by way of two other stepping stone walkways that wind past pots of annual color. The bench with a commanding view of the numerous spreading, mounding and cascading blooms is sheltered by a flowering tree. While the overhead canopy provides summer shade, a cluster of shrubs behind the bench provides enclosure. A vine clambers over a tuteur to provide a vertical architectural focal point. 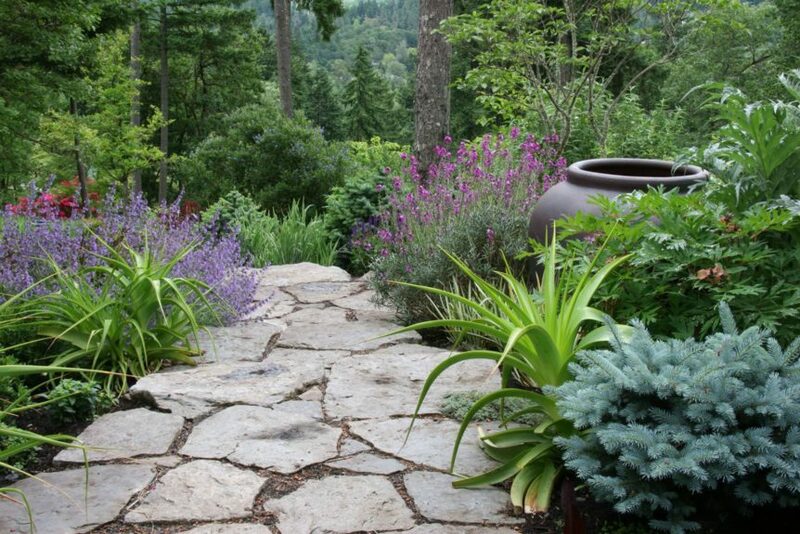 The undulating border and meandering pathways provide easy access to all of the plants and containers of color. Wait until spring to trim back any frosted plants and you will enjoy the wintry textures provided by the branches and remaining stems and seed heads. Allow some of the perennials to reseed to create a full and bountiful garden of color.